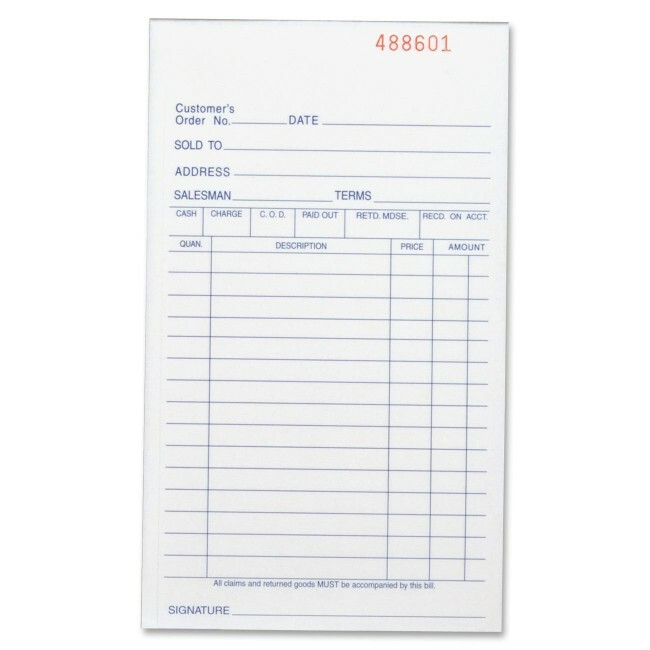 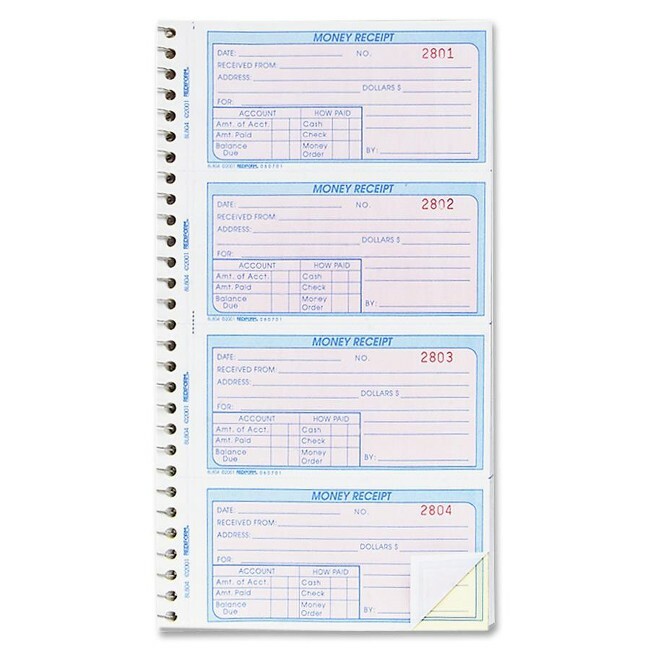 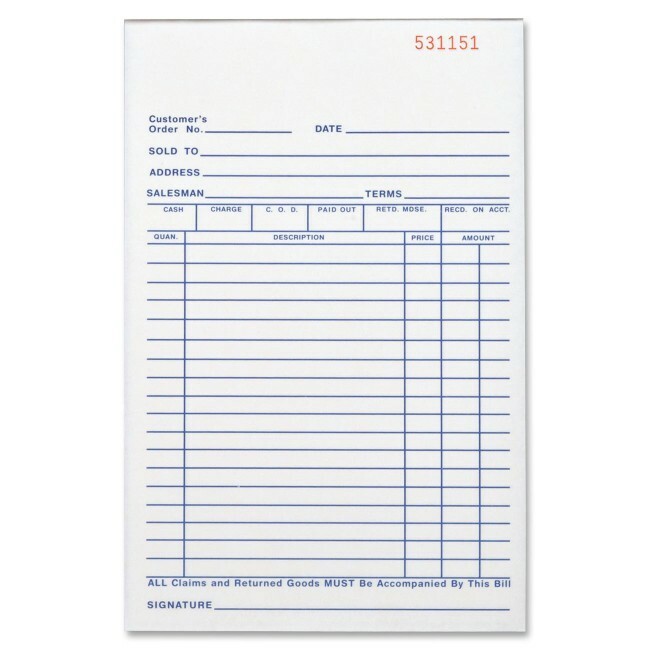 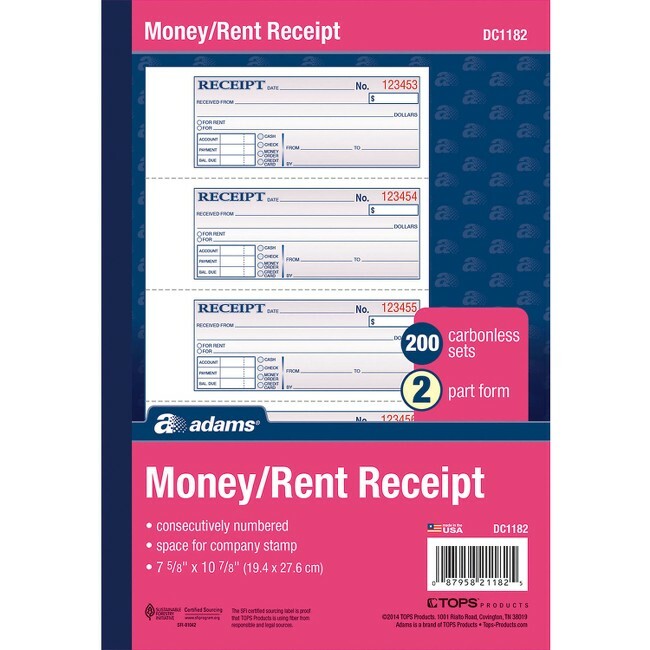 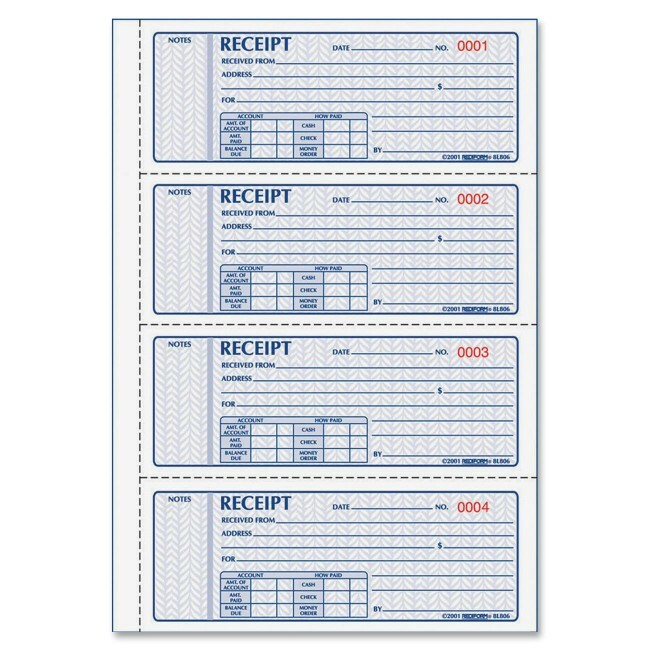 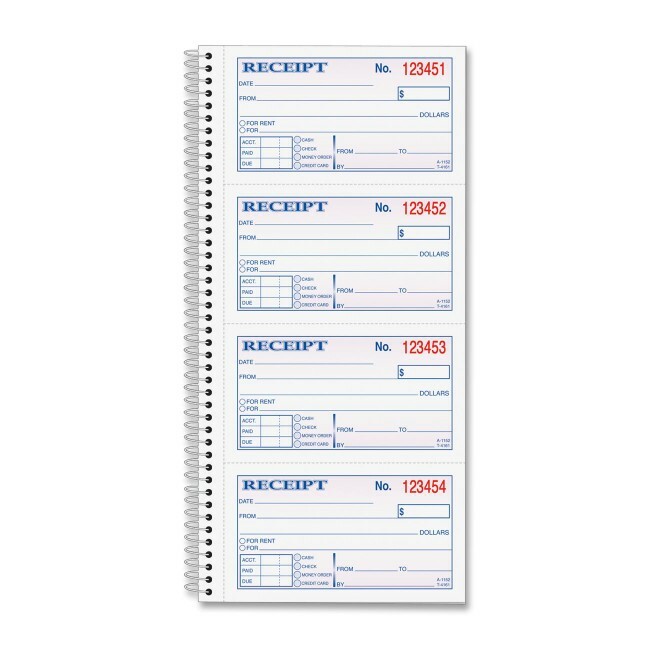 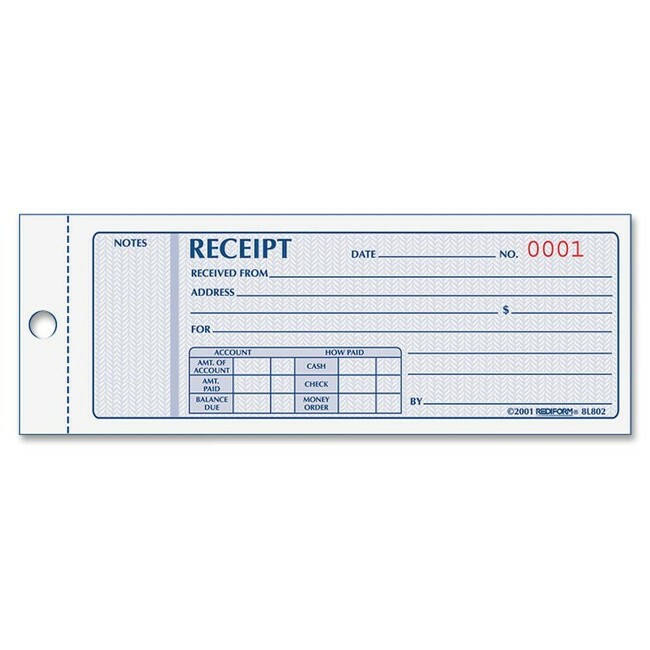 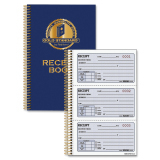 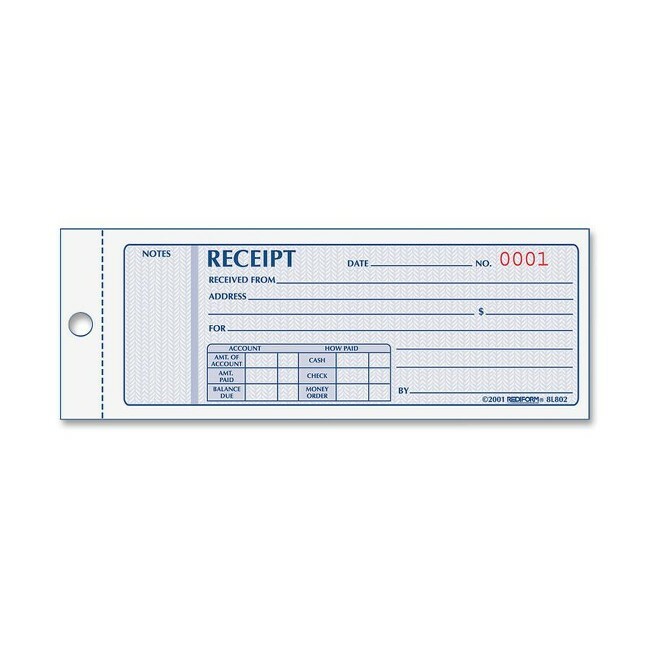 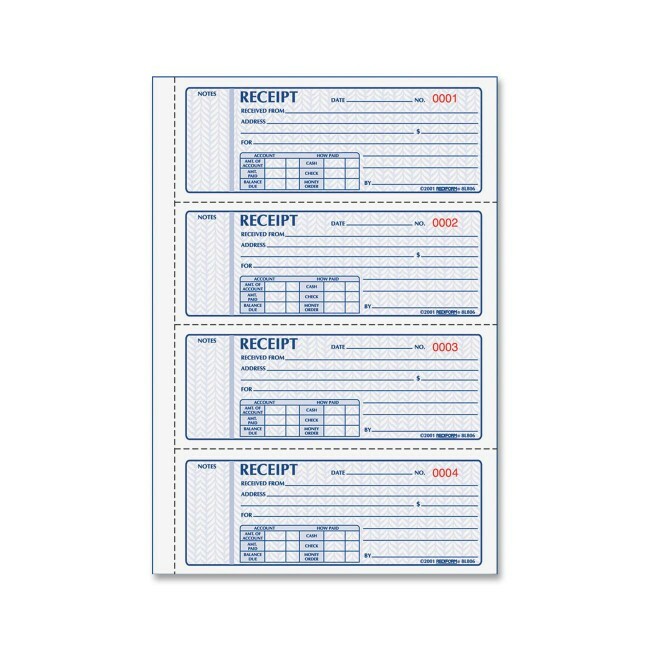 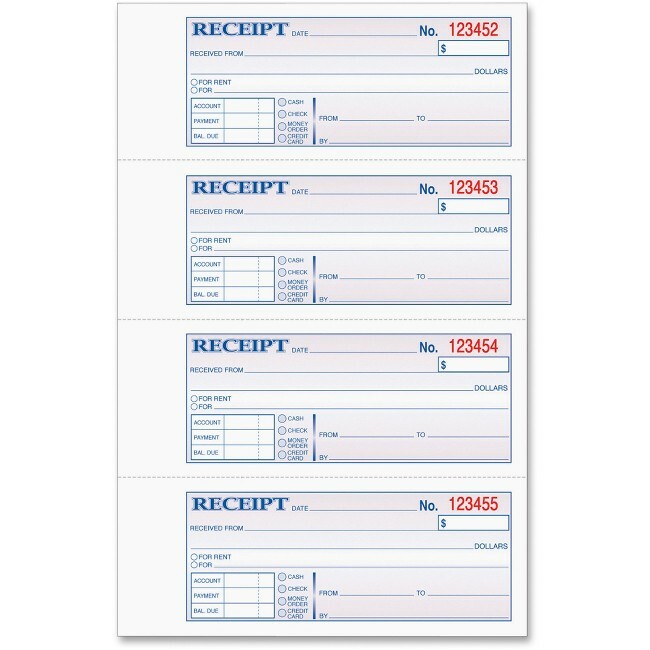 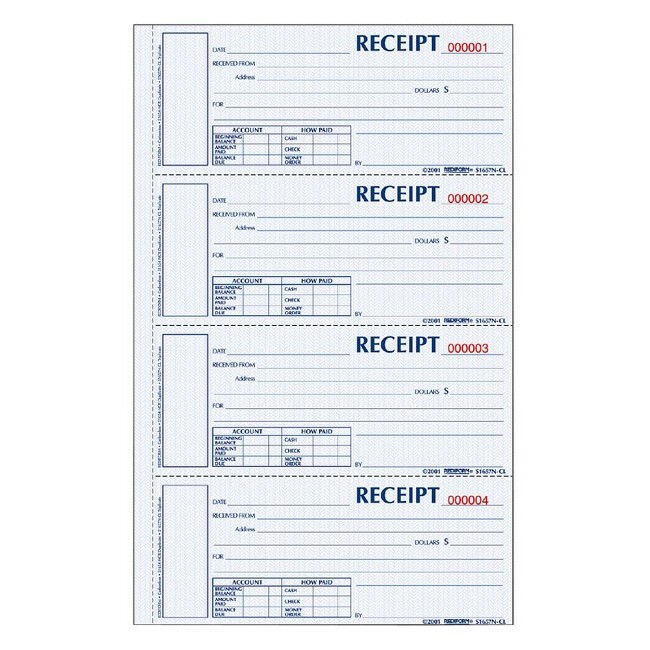 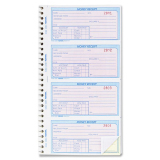 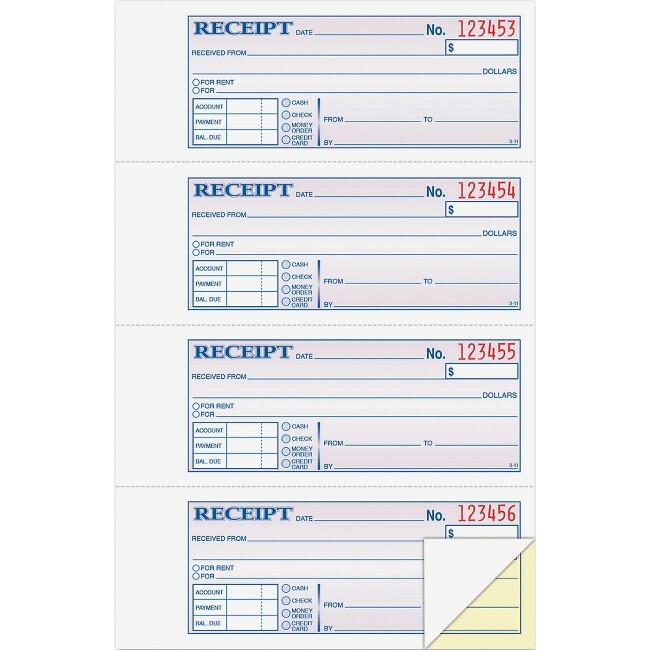 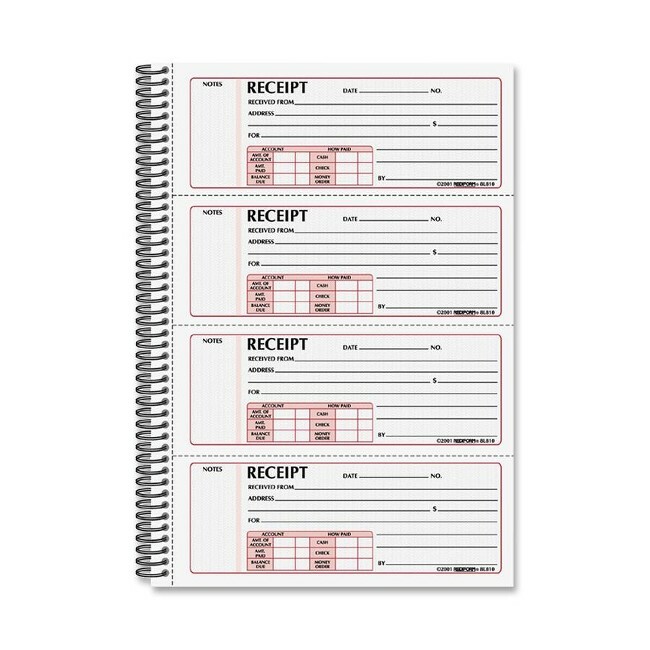 Money/Rent Receipt Book tracks your receipts and contains four carbonless receipts per page with space at end for your company stamp. 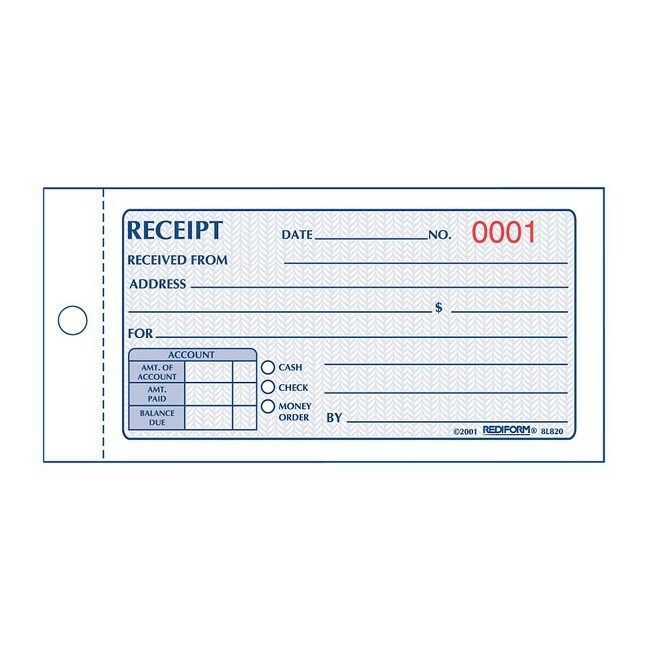 Two-part receipts are consecutively numbered for easy tracking. 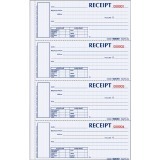 Original is white, and duplicate is canary. 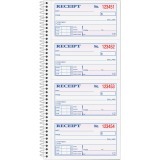 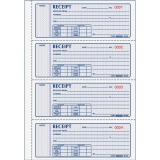 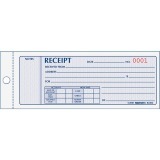 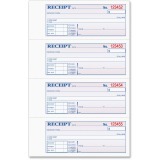 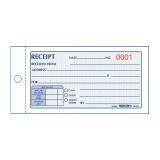 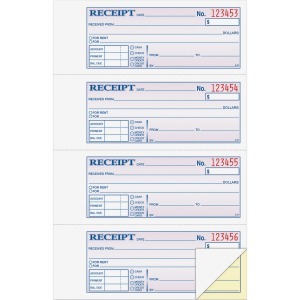 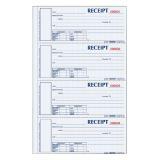 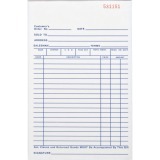 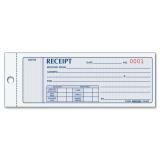 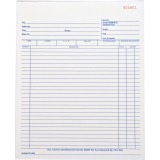 Receipts are perforated for easy removal and measure 2-3/4" x 7-1/8" detached. Spiral binding secures the duplicates for reliable record-keeping. 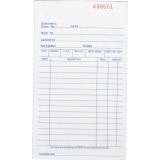 Wraparound cover is attached to the back. 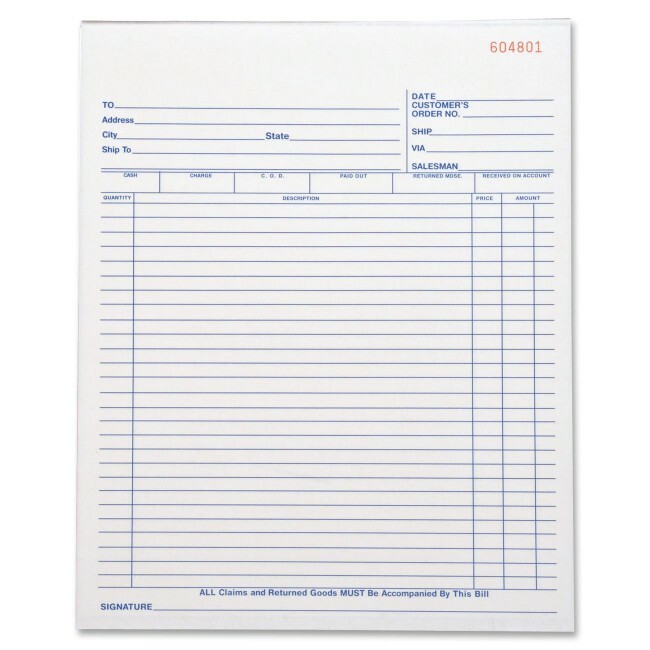 Place cover between sets to prevent write-through.